[UPDATED] Introducing my new podcast & my favorite podcasts! Disclosure: Links marked below with * are affiliate links, meaning I will earn a commission for any purchases. Hey guys! I’m so excited for this new announcement and update for all of you. 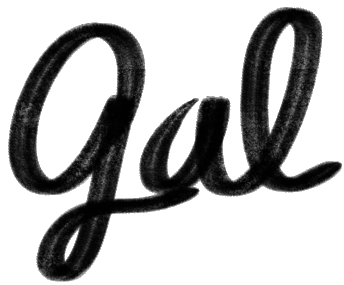 I’ve teased about it on various social medias for a bit now, but am releasing the official news today: Gallantly, gal is starting its own podcast! Let me get into the details and then share with you my favorite podcasts that you can listen to in the meantime. I’ve been super into podcasts lately, listening quite obsessively to them on the free Castbox app (iOS* and Android), so I ultimately decided to start my very own podcast. You know how talkative I can be. I always have a lot to say, and I think at least 90% of it has substance! That’s a pretty… good, high amount right? 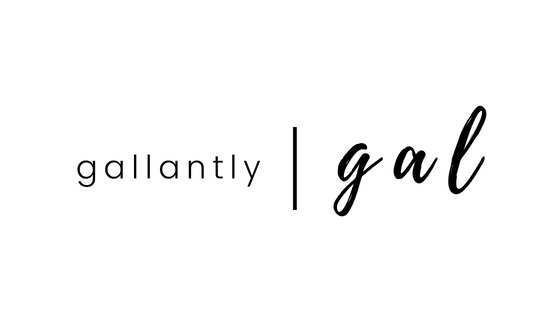 The podcast will be called Living Gallantly, and it’ll mostly be discussions about how we can live our best lives. It will be posted on Castbox, Soundcloud, and iTunes. I’m excited for you to listen to my podcast! I’ll be posting every Thursday, and the first one goes live next week on July 26. I’ll share it on social media so make sure that you’re following me on Twitter and Facebook! Now until then, let me share with you the ones I’ve been obsessed with. Here are my favorite podcasts! This is the one that set me on the path of podcasts! I really like Kalyn’s YouTube videos, so when she started her own podcast, I thought I would check it out–and instantly fell in love. She also introduced me to Castbox (so good job, marketing team). She’s really down-to-earth and relatable with her friendly tone of voice and amazing content. This is my absolute favorite. Cathy Heller is the best. She is so relatable, warm, and friendly with this positive energy that gets you really motivated to live a better life. She has the best guests on and their conversations always flow very naturally. I’m not the biggest fan of the interview style of Podcasts, but she makes you feel like you’re sitting at a table with them for just some casual tea. I am still struggling with the concept of manifestation. While fascinated with it, it definitely takes a lot of effort and practice. You know what helps? Kathrin Zenkina who is this open and friendly Podcaster focused on manifestation. Although I still have a complicated relationship with manifestation, I like listening to her talk, give down-to-earth advice, show her less-than-perfect self, and provide a bit of hope. This one actually involves a daily narration of a blog post, so he will read aloud (with permission of course) a blog post pretty much every single day. The content is great and it’s also an effective way to discover new people and blogs to follow. I like the wide range and the fact that each episode is on the shorter end compared to most podcasts. This podcast has a super cheery and uplifting speaker with an engaging voice. She says what she has to in an honest but positive way. I feel like she really gets me on that high-vibe frequency and I appreciate how she’s always trying new things and formats like spoken word! There’s a sense of constant striving for improvement despite being an established Podcaster already, which I appreciate. I love these girls. They are hilarious. As you know, I’m a fan of Nancy Drew, and I feel like I’m listening to Bess and George, if that makes any sense. Either way, they are two good friends who bounce off each other well, giving you a good few minutes in the beginning of their fun banter before interviewing a guest in an engaging way. I love Simon and Martina. They are also YouTubers, like Kalyn, who are so genuine, refreshing, quirky, and kind. They talk about fun adventures they have in Japan, the culture, current events, updates in their lives and more. It’s one of those Podcasts that feel more like a friend than anything else. Podcasts are pretty great. Because I’ve been listening to them for a while now, I feel more sure about the podcasts that I follow regularly, which is why I’ve been wanting to update the list. It’s been whittled down and adjusted for maximum effect, so check out the recommendations above and make sure to leave your own suggestions down below! If you are interested in creating your own Podcast with just your iPhone, I definitely recommend you go for it. It can be as big a project as you make of it, but if you’re feeling uncertain about how to start, check out this course* by Creating a Brand. They are offering a 20% discount just for my gallantgal readers, and then you’ll be well on your way to becoming a Podcaster yourself. I look forward to hearing your episodes! Make sure to drop the links below! Ah, so that’s what you’ve been working on lately. 😀 I had a sneaking suspicion you had a secret project going on.